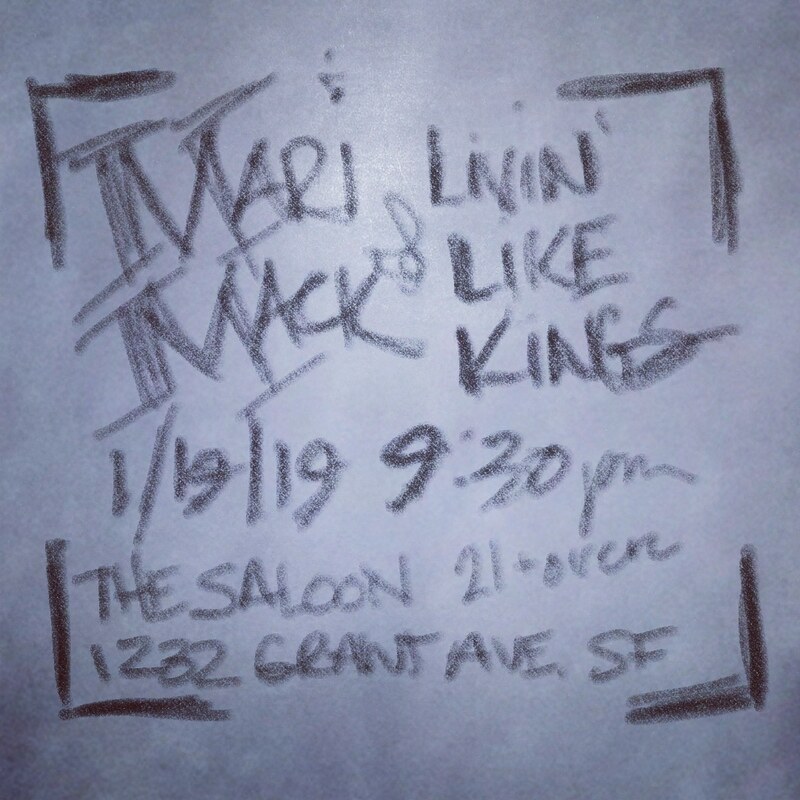 I am back on the West Coast! Am feeling very grateful for the time I was able to spend with my mom. So, again, I am looking for more paid work. That can be singing or social media gigs, marketing, sales, customer service. I have bartending experience and enjoy taking photographs. At the moment, my feet are planted firmly on the ground as I seek gainful employment as I work toward making more music. 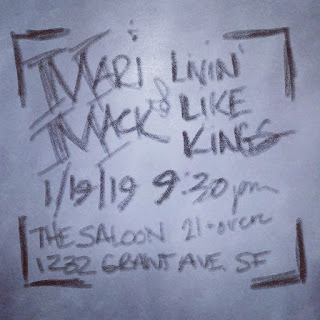 Speaking of music, next appearance of Mari Mack & Livin' Like Kings will be January 19th, 2019 at The Saloon, 1232 Grant Avenue, San Francisco, CA. Please feel free to spread the word! Thanks in advance. SNL: The cold open spoof of "It's a Wonderful Life" was brilliant and worthy of an Emmy nomination. I missed seeing Pete Davidson and he looked really down when he introduced the music act, which I thought was a bit odd. Then, I looked on Twitter, and noticed that Van Jones retweeted something from S.E. Cupp that mentioned Pete Davidson, which seemed even MORE odd (at least to me, that is,) so I finally caught up with the story that he posted something like he didn't want to be on this earth anymore and then deleted his social media accounts. Pete, I'm guessing you won't read this, but I please don't check out of this life yet. We all have down days, especially this time of year. It is no fun enduring a break up, and few of us have to deal with those emotions in such a public way. If it helps at all to let you know that you will be missed, I want you to know that you will be missed. Please hang in there. Sometimes, no matter how much you love someone, you are just not meant to be together long term. A break up is not a statement of your worth. And people bullying you on the internet has nothing to do with you. It has to do with that person wanting attention. I hope you are OK.